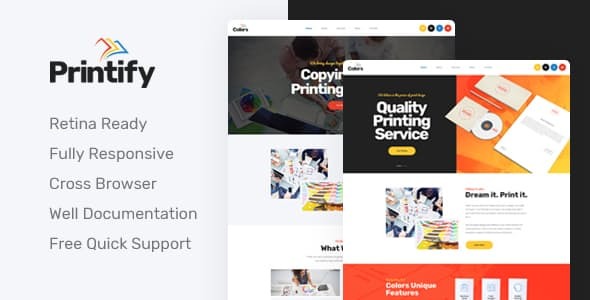 Printify is a attention grabbing printing company HTML template suitable for printing, press and copying services. It has perfect layout to display all your major services and show your skills. If you are offering services like: Postcards, Business cards, Posters, Banners, Giftcards, Flyers, Billboard and all other printing services, than this template is for you. 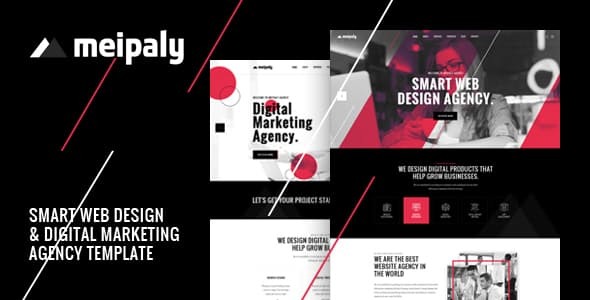 Meipaly is a powerful Digital Services Agency HTML5 Responsive Template. 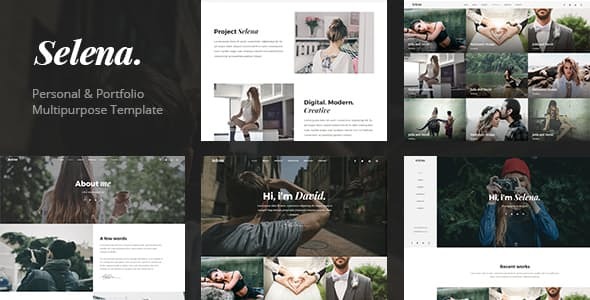 It is highly suitable template for companies that offer Web Design, Digital Marketing, SEO Services and all other internet marketing and services related agencies. 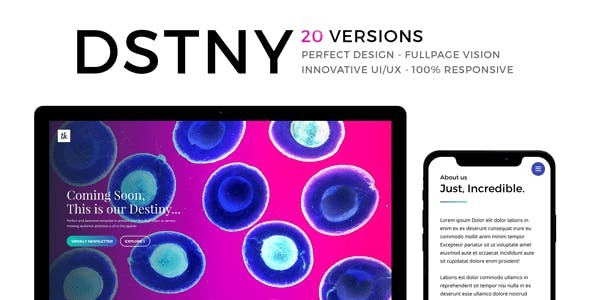 Using DSTNY is truly a full captivative experience. Ergonomy and fullpage vision help you take full advantage of its capabilities and enhance the presentation of your current or next project. 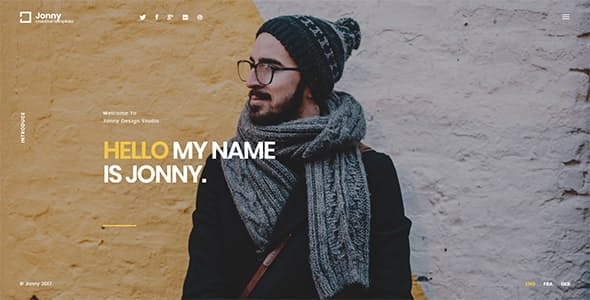 Get most subscribers with this innovative HTML template and enjoy a clear and intuitive experience for your visitors. The talent of this template resides in its great mix of a powerful and sleek design. Provided with 20 variants, you will find easily what you need. 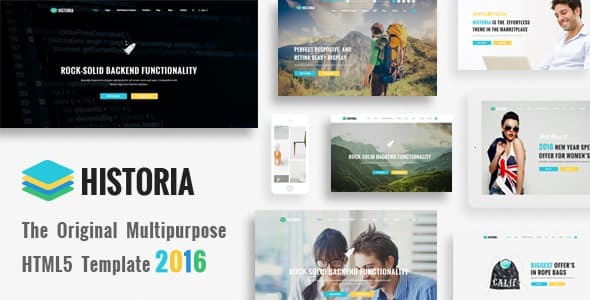 Historia is a Powerful, Responsive & Multi-Purpose HTML5 Template. 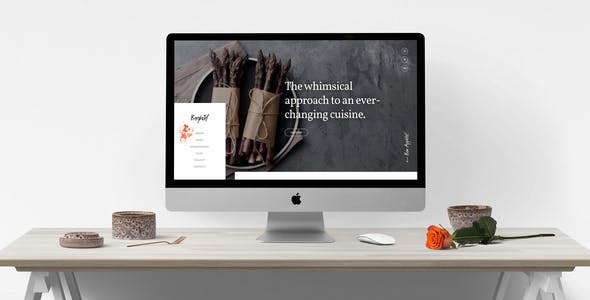 Historia was inspired and designed with creative & modern web design trends to provide the best and intuitive user experience within a template. So you can build amazing website using Historia with unlimted possibilites. 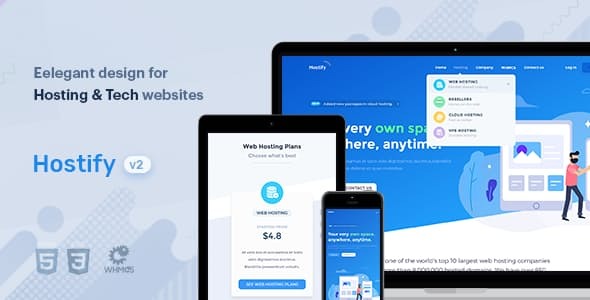 It is well suitable for any types of Business, Corporate, Portfolio, Freelancers, Design Agency, Ecommerce Sites, just everything is possible with Historia. Event management- is now much more fun using the all new Im Event- Event Conference Landing HTML page. It is an ideal web page for the who are aspiring to reach higher. 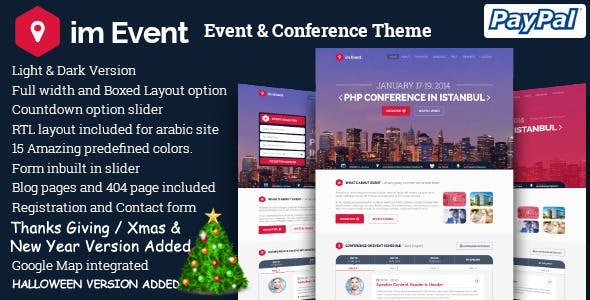 Im Event provides you with the latest features like Thanks Giving/Xmas and New Year Versions. Upgrade your event management with two-in-one i.e. Event & Conference theme from Im Event. It has got all the important customizable pages in its package like festivals templates that is not available anywhere else. 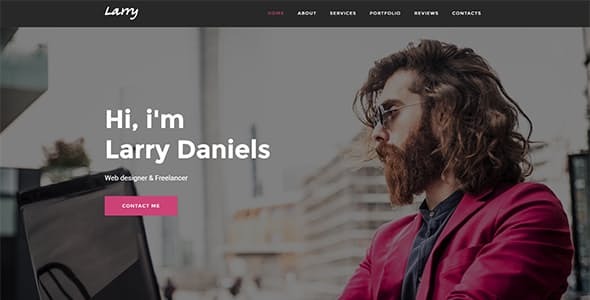 Melkin is an HTML5 site template Booking and Reserve form Wizard. It comes with 3 pre made demos: Hotel/Accommodation booking, Restaurant table reserve and SPA treatment booking. 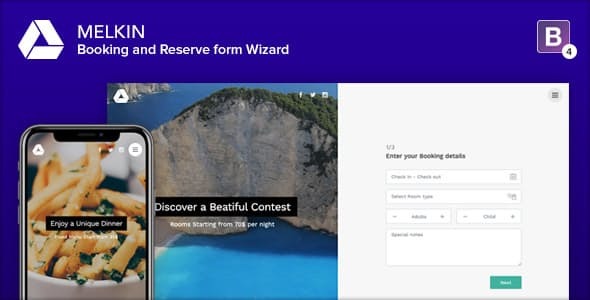 You can add how many steps and questions you need, or create you customized and powerful wizard form. It comes with nice UI/UX form elements: radio, checkbox, select, range date picker…etc. The results will be sent via email and confirmation email with summary is sent to the user who fill the form.